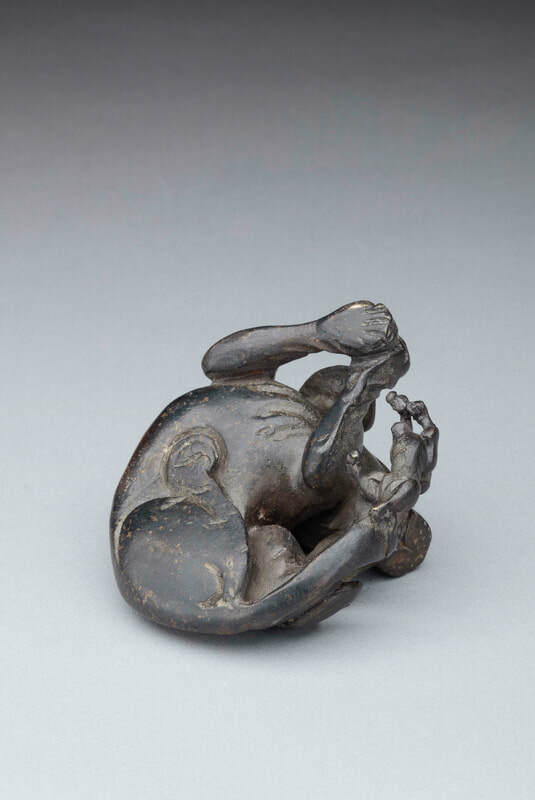 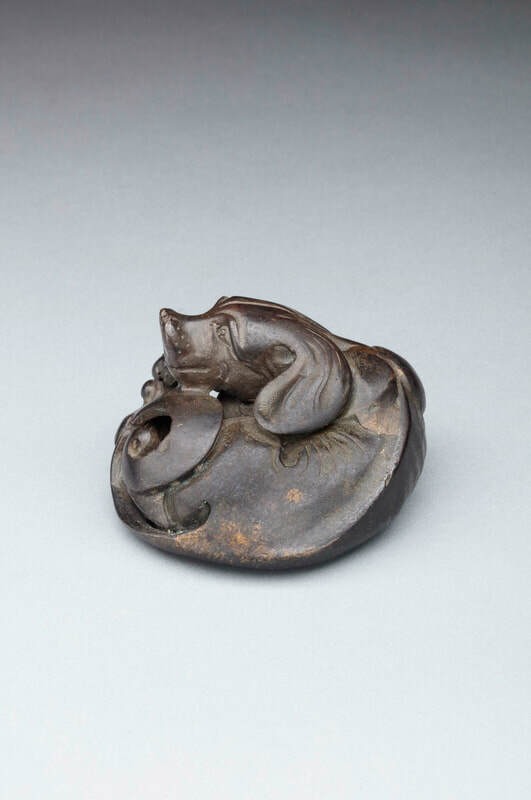 A bronze paperweight that fits in the palm of one’s hand cast as a curled dog resting her head on her tail, while her tiny pup affectionately licks the mother’s face. 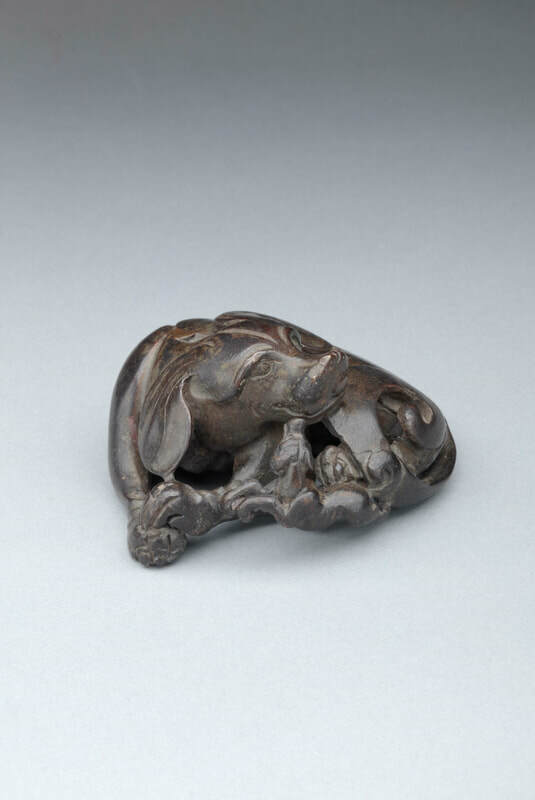 Details of the casting include the dog’s open eyes and large floppy ears, a distinct backbone, long tail curled over its haunches and incised lines to indicate fur and dimpled nose. 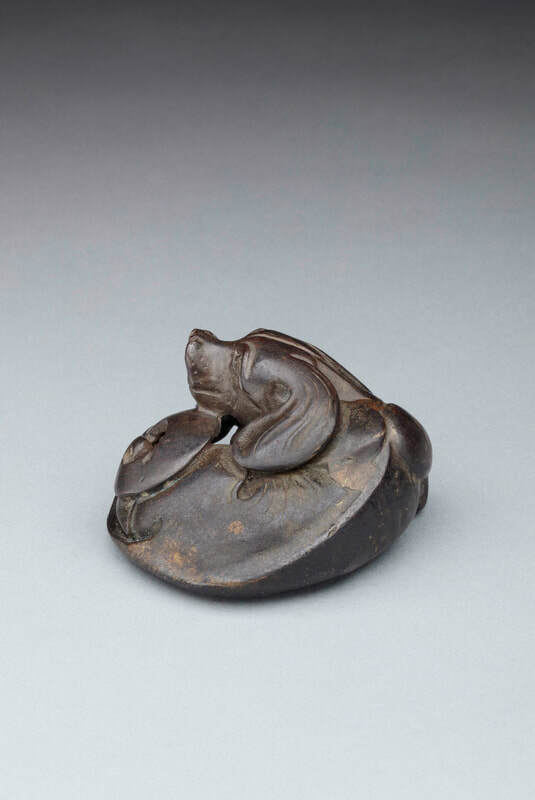 The dog’s right leg is pulled up under the body and the two front paws rest one on top of the other. 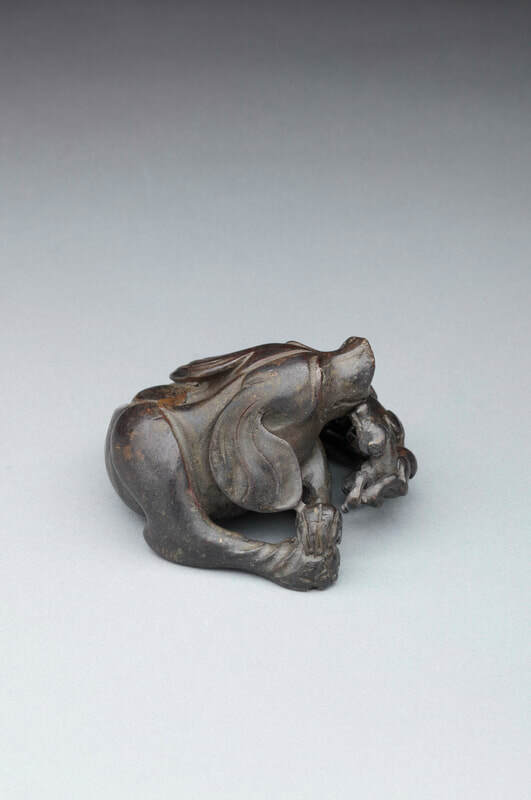 Patinated a rich black-brown with some lighter inclusions.